The Asian Games 2018 saw eSports take another important step into the mainstream. It was the first time that the multiplayer video game competition form featured at an officially sanctioned Olympic event. Were you among the millions of people around the world who tuned in? To see which games and players trended online, check out our blog post. Here at Convosphere, we find the Urban Dictionary (UD) invaluable in staying up-to-date with slang and new expressions. In a bid to record linguistical development, Oxford English Dictionary (OED) is using the hashtag #youthslangappeal to consult young people in the UK about their language. Whereas tracking modern slang has always proved challenging for the OED, the private and elusive nature of communications platforms, such as Snapchat, poses an additional hurdle for the editors. We look forward to seeing the inclusion of words like ‘marge‘ and ‘peng‘ in the new edition. If you’re an avid Apple fan, you were probably counting down the days to the 12th September when the tech giant revealed its latest iPhones. We tracked the online buzz around Apple’s Special Event to gauge what consumers liked about the new models and what they found less than impressive. To explore our findings, click through to our tweet series shared earlier this month. Good news for any job hunters out there. With Twitter’s #OneTweetCVcampaign, there’s no need for wordy cover letters as job seekers are encouraged to summarise their skills in just 280 characters – oh, and a video in which you explain why you’re the perfect fit might help too! This new recruitment trend is proving to be particularly popular among (surprise, surprise) millennials with research showing that young people are increasingly likely to ditch traditional job application methods. What do you make of it? Is it here to stay? On Monday 1st October the 54th annual meeting of the European Association for the Study of Diabetes (EASD) will open in Berlin. Around 15,000 delegates from 130 countries are expected to meet to discuss the latest developments in medical and scientific diabetes research. If you’re interested in understanding the conversations that take place around the EASD congress, join us for our social wrap-up webinar on the 16th October. Find out more in our latest blog post. Have something to add? 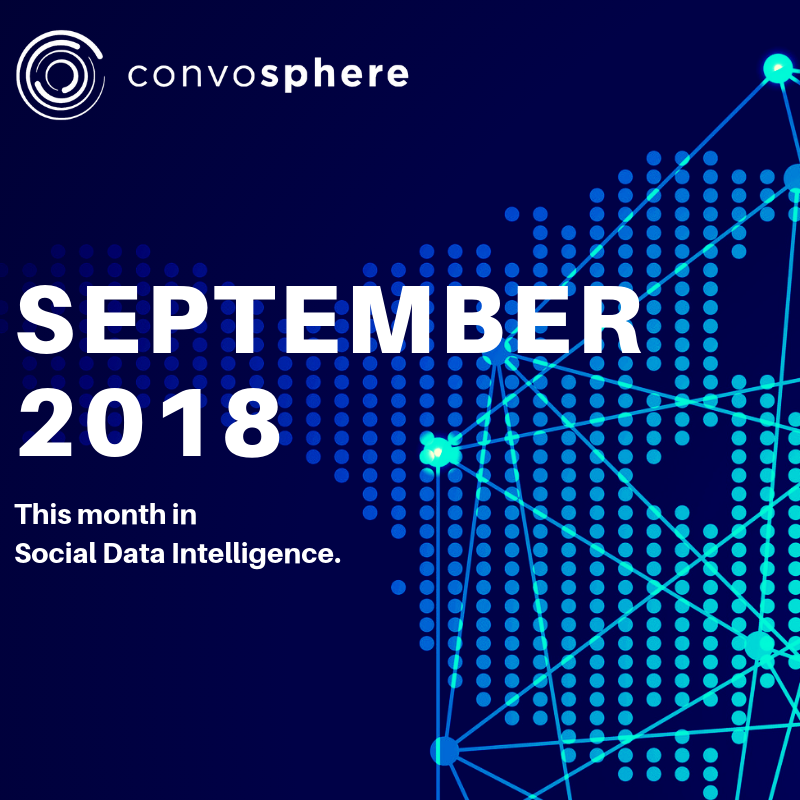 Please feel free to contribute and tell us social listening news from your country! We want to hear about the social landscape in the place you call home.